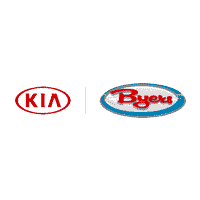 *VALID ONLY AT BYERS KIA. MUST PRESENT COUPON AT TIME OF PURCHASE. NOT VALID ON PREVIOUS PURCHASES. KIA ALL WEATHER FLOOR MATS FOR ALL MODELS WHERE AVAILABLE. *Must present coupon at time order is written. Shop supplies additional. Not valid with any other offer. Excludes prior sales. Valid only at Byers Kia. Call dealer for complete details. *Not valid with any other offers. Must present coupon at time order is written. Valid only at Byers Kia. Call dealer for complete details. *VALID ONLY AT BYERS KIA. NOT VALID ON PREVIOUS PURCHASES. MUST PRESENT COUPON AT TIME OF PURCHASE. INSTALLATION AVAILABLE AT AN ADDITIONAL CHARGE.